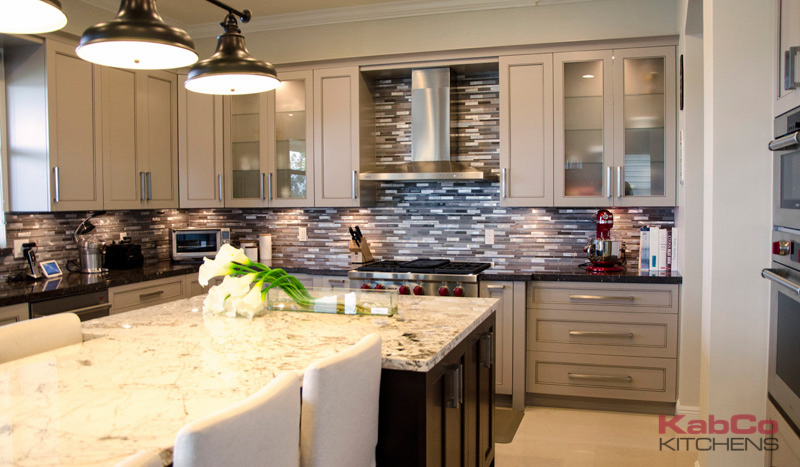 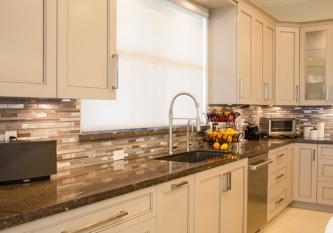 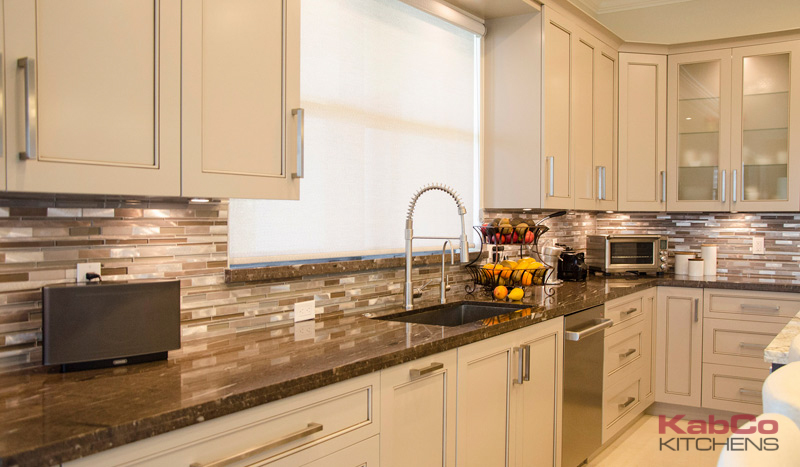 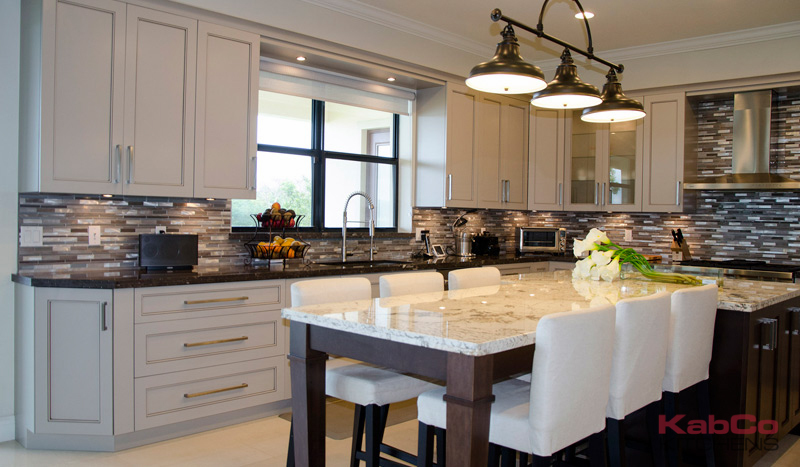 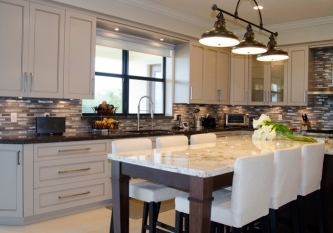 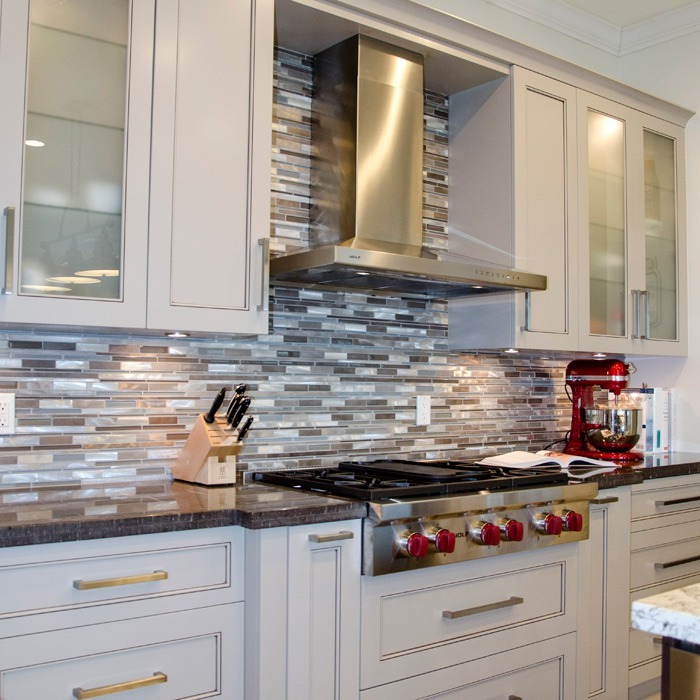 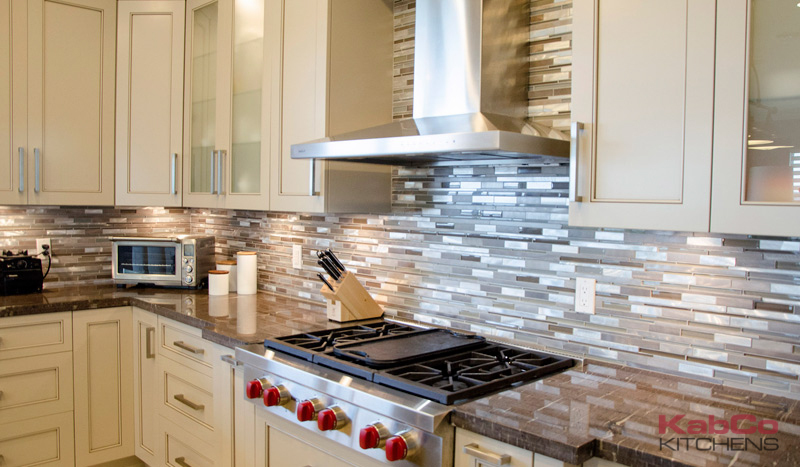 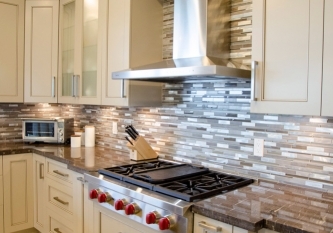 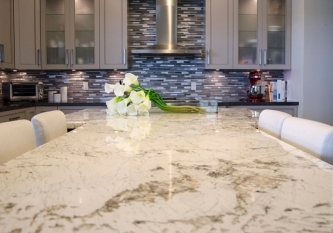 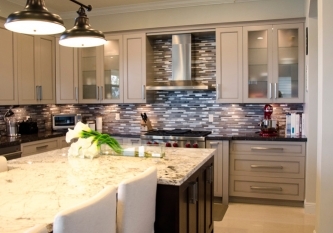 Here is a harmonious kitchen design featuring timeless Miralis cabinetry and quartzite counters. 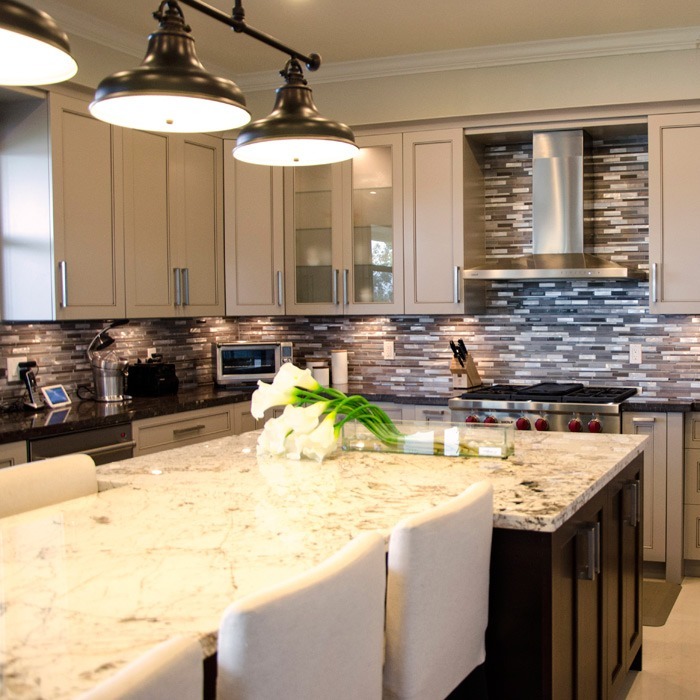 KabCo created this finely appointed space with warm grey toned cabinets and state of the art appliances. 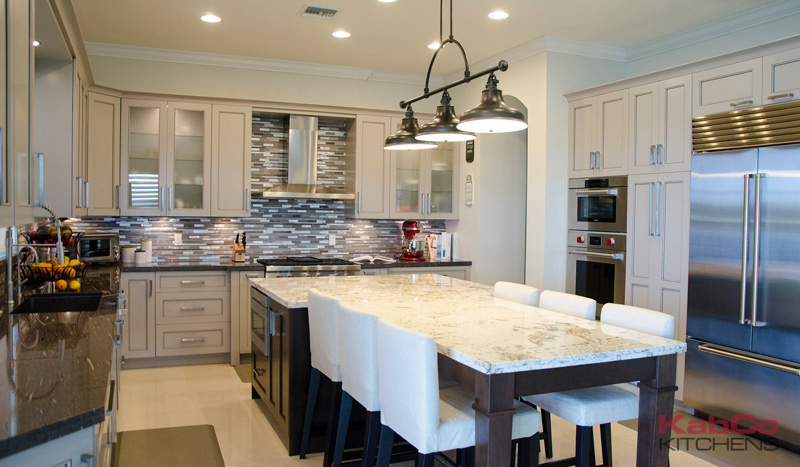 An accommodating 10′ t-shaped island is focal point of this design. 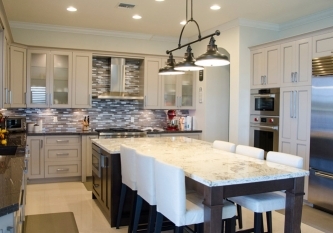 Dining and entertaining in the comfort of their home was very important to our clients. 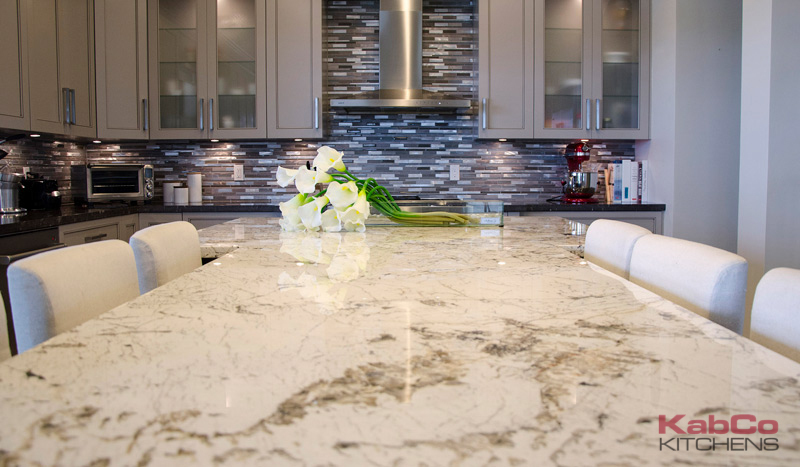 Our conscious design enables them to entertain family and guests in style, in the hardest working room on their home.